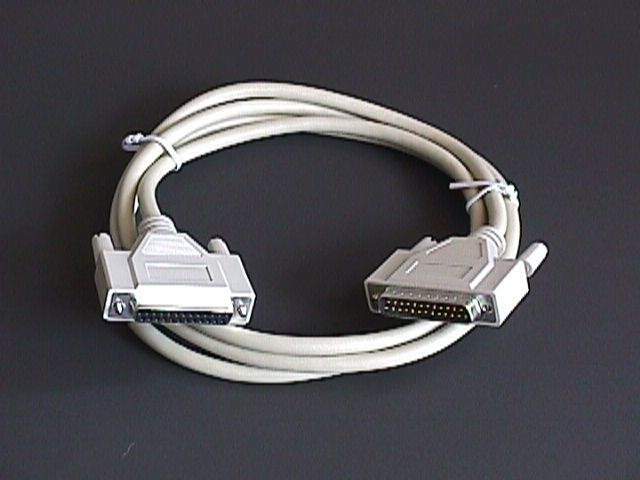 6' Serial Printer cable used to attach serial printers to IBM compatible computers. Specially Wire Configuration for Plotters. This Cables has special wiring to allow the serial printer to talk to the serial Port of the computer. Additional Items that will need to be set are the Baud Rate, Stop Bits Parity. These items can be set in Windows and Linux and DOS. Note: Serial printers are Usually hard to setup and some require very specific wiring. This pariticular wire seems to work in most instances. If you want a STRAIGHT Thru 25 Wire Cable Please Purchase Part 00801.